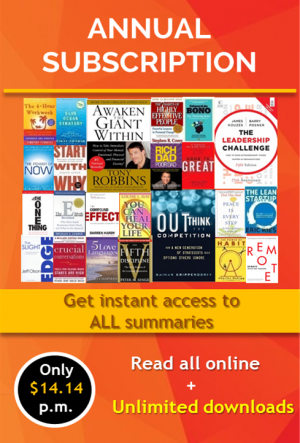 Find out why good, successful companies that do all the “right” things still fail or lose their leadership. Discover how to stay relevant in face of unexpected competition. More details below. 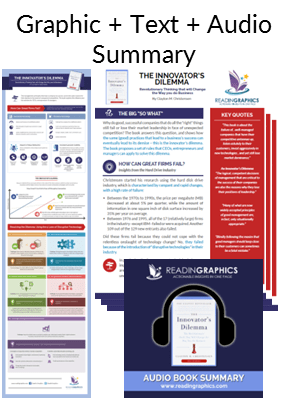 Download The Innovator’s Dilemma Summary in pdf infographic, text and audio formats., or preview the book summary via our blog. 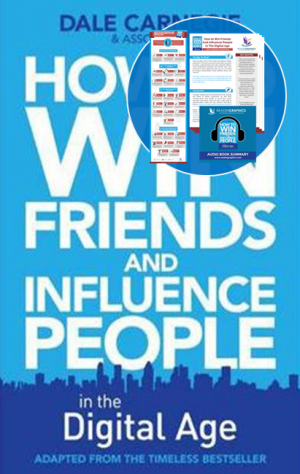 Discover how to stay relevant in face of unexpected competition. Why do good, successful companies that do all the “right” things still fail or lose their market leadership in face of unexpected competition? 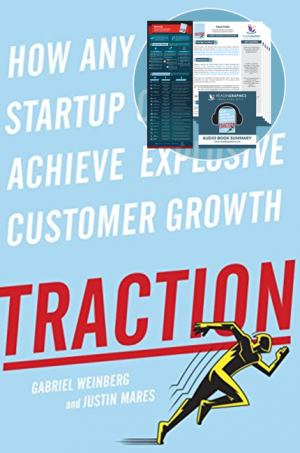 The book answers this question, and shows how the same (good) practices that lead to a business’ success can eventually lead to its demise – this is the innovator’s dilemma. 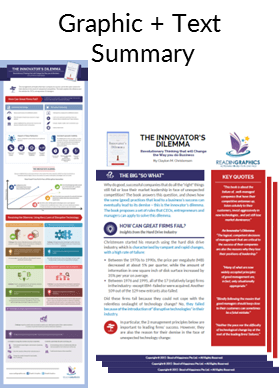 The book proposes a set of rules that CEOs, entrepreneurs and managers can apply to solve this dilemma. 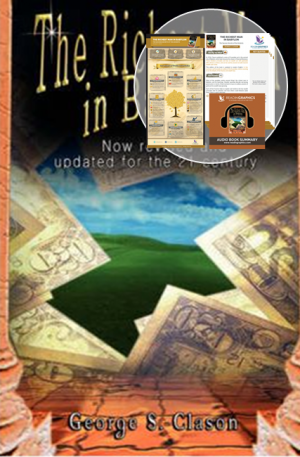 • Find out how you can proactively develop disruptive technologies of your own to shape your industry. 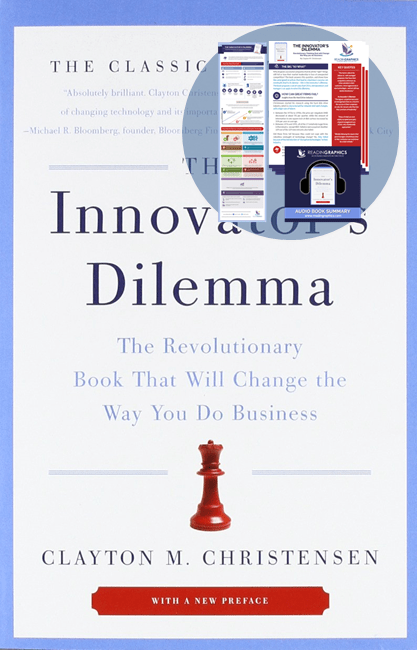 Chances are, you’re reading this review on an example of disruptive technology. An iPhone or other smartphone. An iPad or a notebook computer. Or simply a laptop. Every one of these devices turned its industry upside down when it was introduced, driving established companies to the brink of insolvency, or even into oblivion, and paving the way for new actors to enter the landscape. Today, almost instinctively, we understand the concept of disruptive technology. But it wasn’t until after the publication in 1995 of an article by Clayton Christensen in the Harvard Business Review entitled “Disruptive technologies: catching the wave” that the term entered the language. 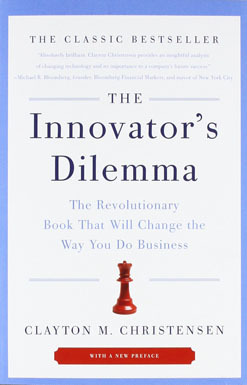 That seminal article was followed in 1997 by Christensen’s pathfinding book, The Innovator’s Dilemma – one of the most influential business books of all time.